Prominent travel influencer and public speaker Gary Arndt has attended 17 TBEX conferences since the company was initially created in 2009. A speaker at at numerous TBEX conferences, Gary’s ability to connect all levels of travel media on multitudinal levels consistently attracts standing room only audiences. We are thrilled to once again announce that he will deliver our opening keynote address at #TBEXIreland in Killarney. 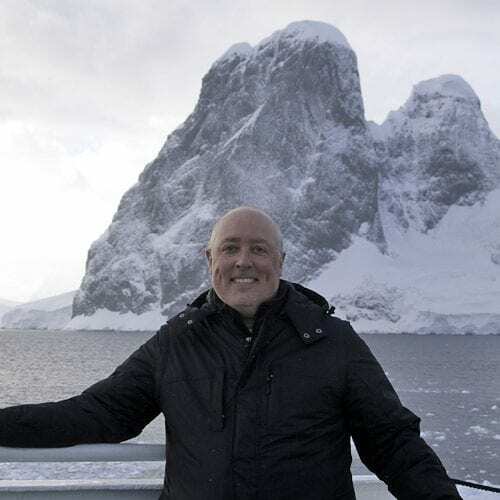 Gary Arndt is an awarding winning blogger and travel photographer who has been traveling around the world non-stop since 2007. His travels have taken him to over 180 countries/territories and 290 UNESCO World Heritage sites. His Everything Everywhere Travel Blog is widely considered one of the most popular travel blogs in the world with a total online audience of over 1,200,000 people. He was named both the SATW and the NATJA Photographer of the Year, the only photographer to have won both awards. Register now for TBEX Europe 2017 in Killarney Ireland (3 to 5 October, 2017), and plan to attend Gary’s dynamic opening keynote address. Our closing keynote address will be delivered by renowned Irish adventurer and public speaker, Mike O’Shea. We’ve also enlisted dozens of award-winning speakers and influencers who are leading our innovative and informative breakout sessions, ensuring #TBEXIreland will be yet another phenomenally successful TBEX conference!